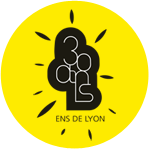 Accueil > ENS de Lyon > Actualités > Tout l'agenda > Colloques & Conférences > Colloque LOL! This conference will focus on the various forms and aspects of laughter, humour, comedy, satire, irony, farce and burlesque in the fields of study of the SEAC (fiction, poetry, drama, visual arts, cinema, photography). Read a short biographical presentation of the speakers here. Read the complete program of the conference here. Read the abstracts for all papers here. After being peer-reviewed, a selection of papers from the conference will be published in Études britanniques contemporaines, accessible through revues.org. Si vous avez un login et un mot de passe ENS de Lyon vous pouvez publier vos annonces dans l'agenda du site. Retrouvez tous les appels à projets et appels à candidatures sur cette page. Professor of English and Postcolonial Literature at the ENS de Lyon and member of the Institut Universitaire de France in Paris.